Home / Blog / Powershop Australia Stands up for the RET! Powershop Australia Stands up for the RET! 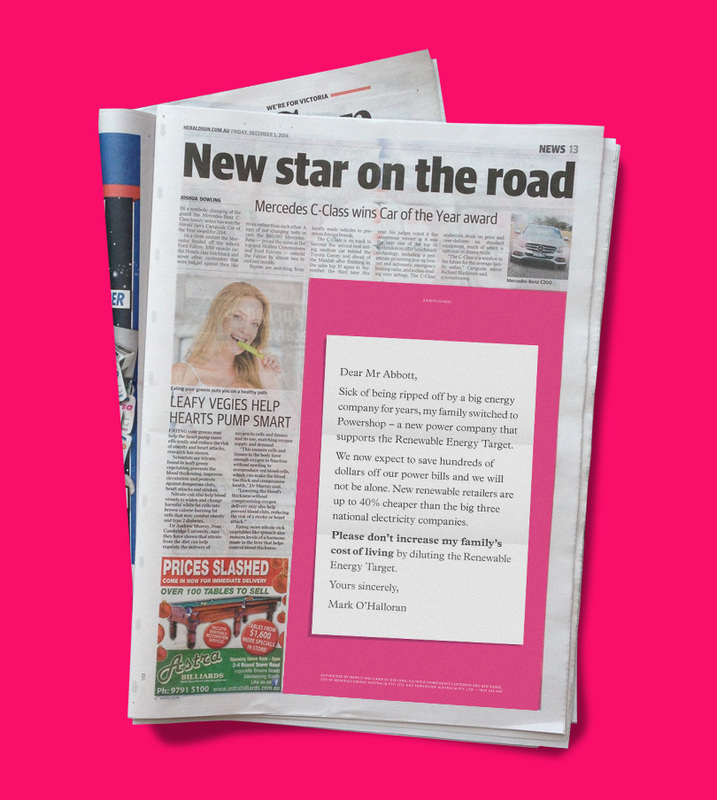 Powershop has made its views on the importance of the Renewable Energy Target (RET) clear to all Victorians by publishing ads in newspapers across the State. See how we’re making the Prime Minister of Australia aware that the RET is saving Australians money and helping to reduce their cost of living. Check out the one below from today’s (Friday, 15 December 2014) Herald Sun.